Spring is a fantastic time to get children excited about science and the natural world. 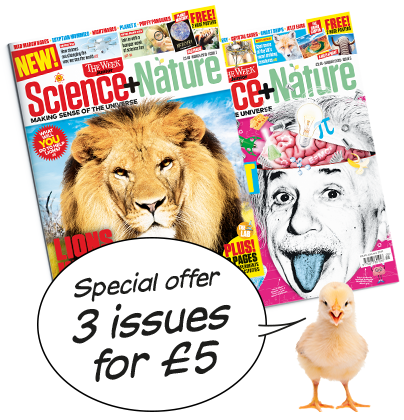 Science+Nature magazine is the perfect introduction – full of fascinating features and pictures to capture young imaginations. Every issue is jam-packed with amazing information, inspiring stories, mind-blowing facts, incredible images and fun activities – perfect for the Easter holidays. Highly recommend the new Science & Nature magazine from The Week Junior – lots of engaging current content – a fun read for this curious 11 year old! Alex likes the fact that there are lots of small articles to dip into, the variety of topics and the fact that they’re really current. He says they make science fun to read about. Top mag. My lad loves it, he reads it cover to cover every week – he even has one of the Science+Nature special editions and is saving up for the next one. My son absolutely loves this magazine! He sits there and reads every single page within thirty minutes of opening it.